The United Kingdom is a political union made up England, Scotland, Wales, and Northern Ireland. 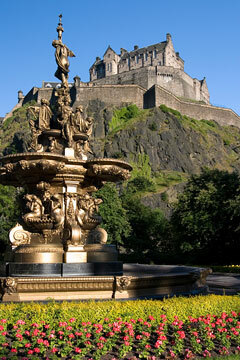 The landscape and scenery vary by region, but there is plenty to see and do in any part of the United Kingdom. No trip to England is complete without a stop in London. 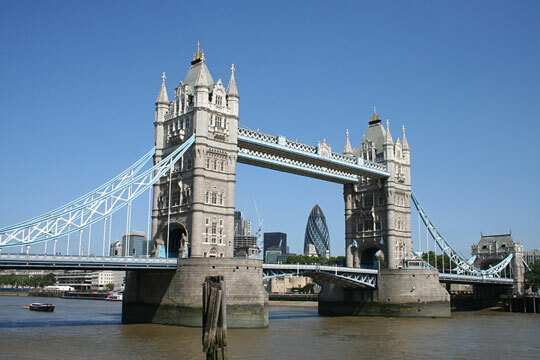 London is England's capital city and features many tourist attractions. Stop by Buckingham Palace to catch a glimpse of the changing of the guard or take a look around the lavish royal residence. Drop by London's most famous church, Westminster Abbey. Built in the 13th century, Westminster Abbey has served as the site where monarchs are crowned and buried since 1066. Several monarchs, as well as Chaucer and other important figures, are enshrined here. Visitors may enjoy perusing the works of Leonardo da Vinci, Rembrandt Van Gogh and other artists at the National Gallery. It houses one of the best collections of European art in the world. 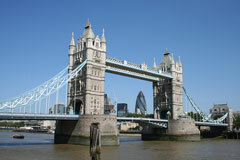 There are several other cities worth seeing while in England. Dover is well known for its white cliffs and the Dover Castle. Portsmouth's naval dockyard has famous ships on display, including the Mary Rose and HMS Victory. Salisbury features a cathedral with the tallest spire in the country and visitors that drive on a little further will find Stonehenge. Scotland is home to many unique attractions. Visitors can catch a glimpse of prehistoric stone circles, historic castles, battlegrounds, and Highland coastal scenery. The capital of Scotland, Edinburgh, is beautiful and features Edinburgh Castle, the Palace of Holyroodhouse, and the Royal Mile. Glasgow, the largest city, attracts visitors with its Glasgow Cathedral, Kelvingrove Museum, Victorian and Gothic architecture, and high street shopping opportunities. Aberdeen, situated along the North Sea coast, is an important fishing center and oil industry base. Loch Ness, near Inverness, is the reported home of Nessy, a prehistoric animal of gigantic proportions. Each year, visitors come to see if they can find signs of Nessy's existence. 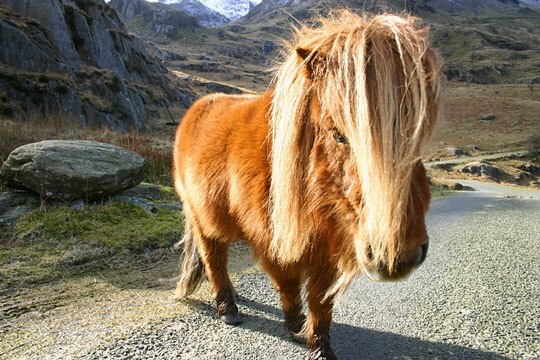 Wales is fairly mountainous and known for its varied landscape. Wales is home to three national parks where visitors can hike, canoe, kayak, and rock climb. The capital, Cardiff, is known for its nightlife, bars, restaurants and the Wales Millennium Centre Opera house. The main attractions include Cardiff Castle and the Millennium Stadium. The scenic beaches in Pembrokeshire County, along Wales' southern coast, draw many vacationers during the mild summer months. Northern Ireland is probably best known for its breathtaking, hilly landscape and rugged coastline. The nature views are wonderful and are occasionally interrupted by the many castles that dot the land. There are over a hundred castles for visitors to see. Notable among these are Belfast Castle and Audley's Castle. 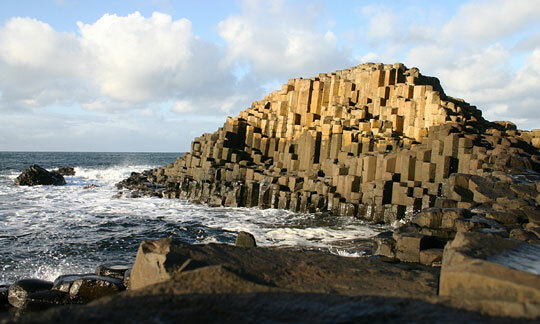 In county Antrim features a unique site — the Giant's Causeway. The causeway is an area made up of 40,000 basalt columns that stand 40 feet tall. The huge columns, formed during a volcanic eruption in ancient times, still stand today.